Absolutely terrible. Our camp site was literally a construction site. There were still track marks and ruts in the dirt on our site. I've tailgated in nicer parking lots. Of the five bathrooms close to our sites only four were open and only two of those had hot water. On Sunday we had to call the office because only one bathroom had toilet paper. Sunday morning we connected the TV to watch the Indy 500 and found out the cable did not work. When I inquired about it at the office I was informed the cable has been out for months. I've been camping a long time and this was the worst experience I ever had especially because no one who worked there really seemed to care. 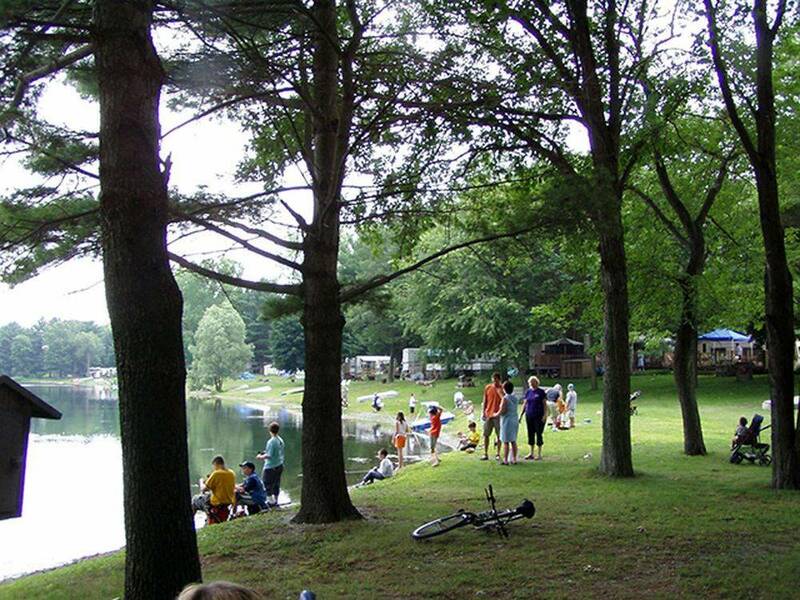 This is a large campground with a couple of small fishing and boating lakes. Some 200 spaces are occupied by permanent RVers who use it as a seasonal or year-around vacation or weekend site. During summer vacation there is a pavilion and large common area, game arcade and other facilities and events that make it resemble a summer camp for kids. This can mean lots of music and kid/teenage play noise, especially on weekends … so be advised. The facilities and amenities are above average, and there are full-service sites that are very open and public, and others that are more wooded and remote (though still within earshot of the music). I would consider returning to the park, even though I was annoyed by some confusion about the rate. On the phone I was quoted a nightly rate for my 30 amp hook-up of $43. When I checked in the rate was $48. When I checked out I showed them the printed rate card with $43 and was told there is a ‘weekend upcharge’ of $3 (not shown on the printed card). It was amicably resolved but should not occur in such an otherwise well-managed facility. stay was terrible. cable tv did not work. no privacy. had another camper near us loud and drunk swearing with children riding there bicycles. Would not recomend staying here terrible !